Going cheaper just wouldn't be cost-effective for one of the world's largest automakers. 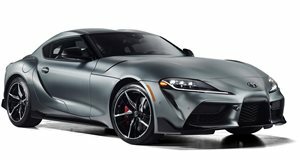 Toyota has long been rumored to be considering adding a third sports car to its lineup to join the 86 and the new Supra – even before the latter was revealed. And it could yet. But it won't be smaller (or cheaper) than the 86. The reason, Toyota's Gazoo Racing chief Tetsuya Tada told Evo, comes down to cost. Bringing a new sports car to market is an expensive ordeal, and the Japanese automaker likely wouldn't be able to sell enough of the inherently niche model to recuperate its costs if it didn't charge enough. 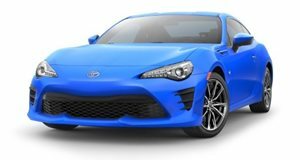 As it is, the 86 carries a starting MSRP of $26,505 – barely more than the $25,730 that Mazda charges for an MX-5 Miata. But that still leaves a lot of room to play before encroaching on the new Supra's anticipated ~$60k price point. At around $40-50k, for the sake of argument, the new model might go up against the likes of the Audi TT and the Nissan 370Z Nismo. And it'd carve out a further niche for itself if, like the MR2 Spyder in whose footsteps it's rumored to follow, it emerged with a mid-engine layout and/or a convertible roof. When Toyota last offered the MR2, it carried an MSRP just north of $25k – about the same as today's 86. That was over a decade ago, though, and would work out to about $32k in today's money.